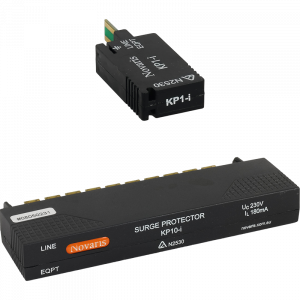 Use the Novaris KP series of products for telephone and signal line protection for signals utilising the KRONE™ LSA-PLUS 10-way connection blocks. Standard KRONE™ surge arresters only provide a single stage of protection which cannot prevent equipment from being exposed to excessive voltages during a surge event. 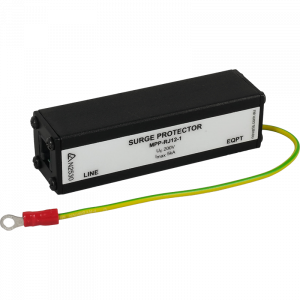 The KP series of products utilise a two stage protection approach that keeps the voltage let through to an absolute minimum. Novaris Modular RJ Plug in provides protection for twisted pair telecommunication services are suitable for telephone, FAX, dial-up, ISDN and DSL modems all pairs are protected to the highest standards, RJ12 and RJ45, 1 or 2 pair all lines are protected.